How closely are you monitoring your VOC software? Many businesses don't spend as much time as they should on this. CX teams are often small in size and get caught up with administrative tasks. This common mistake is avoidable. 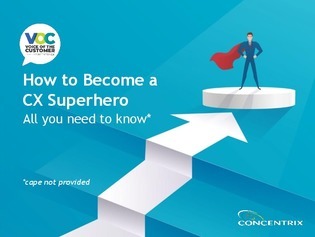 Download this e-book to uncover 4 steps to transform the role of CX practitioners from process-driven administrators to action-oriented CX evangelists, and bring your VOC program’s profile – and results – to higher levels.